On Christ and His Word, On Worship, On Gifts of the Spirit, On Community, On Compassion, On Healing, On Mission, On Unity, On Evangelism, On Discipleship. In October 2014, Harmon Press published my book, The Wisdom of Wimber: As I See It. Today, the little book we affectionately call WOW (Wisdom of Wimber) has sold numerous copies throughout the USA and Canada, and is now available in Spanish, thanks to our dear friend, Pastor Jorge Oviedo and his translating team from the Heredia Vineyard Church in Costa Rica! Might we suggest that if you are enjoying this blog-series, you should also pickup a copy or two of the actual book. It’s available in paperback and e-book formats. The Wisdom of Wimber: As I See It. 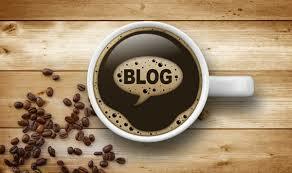 Below, you will find a complete list of all the posts (64 blogs) of this series. We suggest that you bookmark this home page for ease of use. Enjoy! Intro 1: A Fool for Christ. Intro 2: Doin’ the Stuff. Intro 3: Being Biblically Obedient. 1.5 Itchy Ears and Impatient Eyes. 1.6 Jesus: Owner-Operator of His Church. 2.1 Freely Giving Love to God. 2.2 The Fine Art of Worship Making. Step One: The Call. 2.3 The Fine Art of Worship Making. Step Two: Engagement. 2.4 The Fine Art of Worship Making. Step Three: Expression. 2.5 The Fine Art of Worship Making. Step Four: Visitation. 2.6 The Fine Art of Worship-Making. Step Five: Generosity. 3.1 Full of the Spirit. 3.2 Trophies, Talents, Traits or Toys. 3.3 Everybody Gets to Play. 3.6 Mastering the Fine Art of Spiritual Gifts. 4.1 Welcome to the Garden. 4.3 The Gateway to True Community. 4.4 It’s All About Relationship. 4.5 Kinship in the Early Church. 4.6 Plugged-in to Make it Work. 5.2 The Reality of Poverty. 5.4 Just Imagine What The Church Could Do! 5.5 Salvation or Sozo? Which Will It Be? 5.6 Humbly Render Our Service. 6.1 Praying for the Sick. 6.2 The Interview: Where Does It Hurt? 6.3 The Diagnosis: What Is the Father Saying? 6.4 The Prayer Selection: Prayers, Prayers, and More Prayers. 6.5 The Prayer Engagement: How Effective Are Our Prayers? 6.6 The Post-Prayer Direction: What’s Next? 7.1 Doing an Ancient Thing in a Contemporary Way. 7.2 Our Primary Mission: Being Kingdom People. 7.3 Mission 101: Finding Out What the Father Is Doing. 7.4 Blessed are the Flexible. 7.5 Lord, Put a Hook in My Heart. 7.6 And Then The End Will Come. 8.1 Loving Others: Agreement or Unity. 8.2 Unity: A Mature Commitment of Love. 8.3 The Ministry of Care and Loving Others. 8.4 Shepherd or Hired Hand. 8.5 Unity and World Evangelism. 8.6 Loving the Things That Jesus Loves. 9.1 Power For a Purpose. 9.6 A Family – A Hospital – An Army. 10.1 Reproducing Disciples. It’s All About Me. 10.2 Discipleship 101: Live Simply – Love Extravagantly. 10.3 Discipleship Pre-Requisite: Walking With A Limp. John’s Unforgettable Taxi Cab Ride. Don’t take this journey into The Wisdom of Wimber alone! One of the best ways to explore the on-going applications of this blog series is to walk alongside a biblically-based, Christ-centered spiritual director who is familiar with how to make material like this part of your overall spiritual formation in God. Many of our directors in our Sustainable Faith-Heartland network are available to companion you in your journey with Jesus. Click here for more info. The Wisdom of Wimber: As I See It. In order to keep all 64 blog sessions organized, we suggest you bookmark this Wisdom of Wimber page for ease of use. Might we also suggest that you order a copy or two of our book by the same title! It’s available in both paperback and e-book formats…and will soon be available in Spanish! Click here for more info. ENJOY!